In present-day Scotland, not everyone is who they appear to be. Shifters have been hiding in plain sight for generations. It all starts with a single bear who falls for the most unlikely partner: a human. Bears and humans simply can't pair up, or can they? Fall in love today with the Scottish werebears and get the complete saga in one handy collection. Sometimes doing the right thing...means risking everything. Excited to receive his very first assignment, Alpha Squad recruit Adam King is ready to jump head-first into the action. With the small town of Sevenoaks experiencing violent attacks on the local population, it's up to Alpha Squad to find the cause. 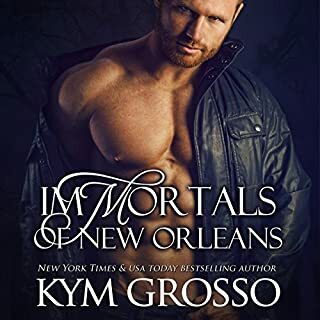 But when suspicions fall on the local shifter refugee camp, and especially Felicity Weir who volunteers there, Adam is forced to reevaluate his priorities. With his inner bear insisting she is his mate and the squad's reputation hinging on a successful first mission, Adam is torn. How can he do his job when he's unable to endanger the woman who appears to be their prime suspect? 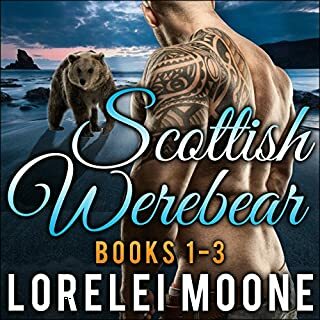 Determined to help the displaced individuals streaming in from Europe build a new life for themselves, bear shifter Felicity Weir is forced to take matters into her own hands. Having looked after the shifter refugees camping near Sevenoaks, Felicity cannot accept that one of her kind would be capable of such violence. With the attacks and the mood in Sevenoaks growing more and more hostile, Felicity has no choice but to investigate the deaths herself...before tension toward these newcomers, and by proxy, towards her, ruins the only chance these people have at a fresh start. Join Alpha Squad in this steamy paranormal romance you won't want to put down. If you like Alpha City by Bryce Evans or Bear Patrol by Scarlett Grove, then you will love the Alpha Squad Series by Lorelei Moone! Oh how I love books by Lorelei Moone. a subscription to audible I had to get this book. Now about the book: this story is about Adam. brother. And this is how he met his mate Felicity. man you will be so surprised at who is behind it. Would you listen to Alpha Squad: Friends & Foes again? Why? I liked and enjoyed the story. Narration was good but adding a male narrator will have made it more enjoyable. I like the writting style of the authors and wether I'm listening or reading the story still great. What about Audrey Lusk’s performance did you like? I liked it but didn't love it, which in my back is not bad. I would have liked the addition of a male narrator, especially in parts that it should had been one. Every single time I listening to a female narrating an entire audiobook on her own, is hard to listened to it in one sitting. I have no idea if the speed of the audiobook was set high, but it make it sound sometimes as if the narrator is in a rush, so it'll be nice if that's fixed. I read this as a stand-alone and didn't read any of the previous Alpha Squad books. I also read/listen to this on audible. I enjoyed the plot and suspense of Alpha Squad. You think you have it figured out and then another clue has you questioning everything again. Felicity & Adam are both bear shifters and have that instant knowing mate connection. The character fell a little flat at times, Adam showed assertiveness and an alpha tendency when it came to Felicity but questioned himself in everything else and was unsure. These two had magnetic chemistry and could feel when one was close. Alpha Squad has an interesting dynamic 3 humans & 3 shifters. They are a new team just getting the feel of working together. The narration was good and she was able to change inflections of her voice and keep them consistent through the book for each character. The only thing I would have added to this audible book is adding a male narration along with the female, I believe it would have brought the story to life. Let me start of by saying I didn't realize this was book two of a series. However, I don't feel like I was missing any of the story. The author gives some background information that helps you know what's going. Anyways, the story was good and the chemistry between Adam and Felicity felt real and they are easy to connect to. I enjoyed the mystery of the story and how Adam and Felicity come together figure out what's going on. The only thing I would change about this audiobook is the narration. I think a male voice would make the story come alive more. I give this listen 3 stars overall. Felicity and Adam have their work cut out for them in this one. This is Adam's first assignment and wouldn't you know it, it gets complicated by meeting his mate. He will have to help her prove her innocence before they can be together. I REALLY enjoyed this installment of the Alpha Squad series! It had the funned sweetness that I've come to expect, with an added element of suspense and mystery. It was so much fun getting to know Eric's brother Adam after he was introduced in Alpha Squad: Boot Camp - and I'm such a fan of shifter romances because I love it when the male finds his mate. The fierceness of their attachment is just so...appealing to me. I really liked Felicity and her determination to save her people and the mystery behind who was setting her up and actually responsible for the crimes against the humans had me finishing the book in one listen. I still would prefer a different narrator (perhaps a man) and had to listen at 1.25x speed, but I enjoyed the book nonetheless. I give Alpha Squad: Friends and Foes 3.5 out of 5 wine glasses and can't wait to continue with the rest of the series! This author is one of my go to when I am in a reading funk and she always seems to be able to pull me out and get me back into reading again. I didnt read this first book but it didnt take away the enjoyment I got out of reading about Adam & Felicity.